Yeah, no mod. 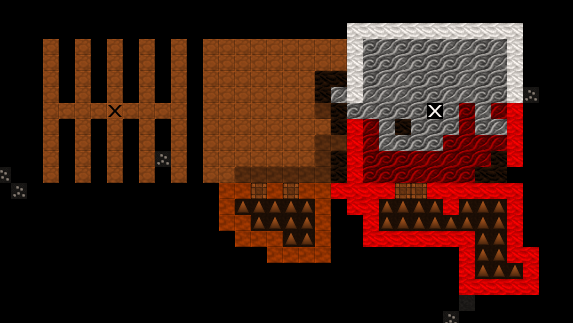 Alternate tileset/graphics, but save back to ascii. Interestingly, v44.09 to get animal tributes would be fun. Green glass is okay this time around. We have a lot more crops we need to protect, we're in range of enemies, and of course we're next to a terrifying ocean: waiting on potash to get our greenhouses set up may just doom us all. I don't think it ever came up. I don't mind either way: we have an even bigger trade target to reach this time around, since The Basic Gates have even more dwarves than The Old Nets did. All spelled out in the OP. 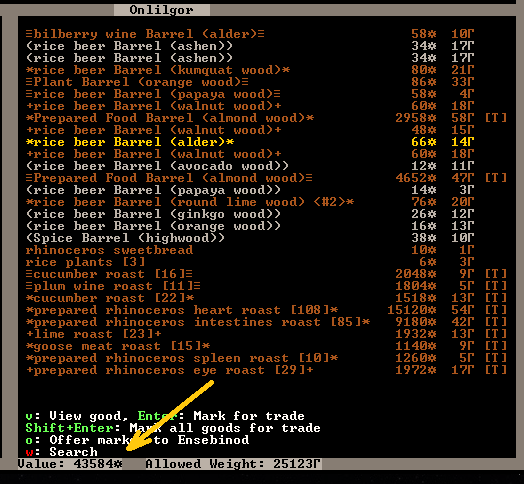 Just to clarify: during my first trade I will compare the trade value to the trade quantity and use the power of math to calculate a trade value target for feeding every one of our civ's dwarves. Our two remaining founders are both male. I'll see if I can get you someone in the first migrant wave. Correct! I very slightly messed around with my RAW's to allow us to embark with all of the seeds, but that won't affect the game after embark. The first harvest surrenders it's bounty as we continue building the longhouse. It is modest, but we planted it with our own hands. Summer arrives with a startling heatwave. The ponds evaporate. The grass turns brown everywhere we cut down the shade giving trees above it (so, everywhere). The dwarven longhouse nears completion, or at least the overall structure does. For now it's interior is a crowded mess of workshops and tiny bedrooms. Wait... what do you mean "no booze"? What happened to the harvest? We let it wither?! 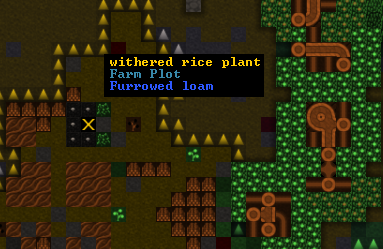 For the love of Armok, why? The longhouse is important, but it isn't that important! 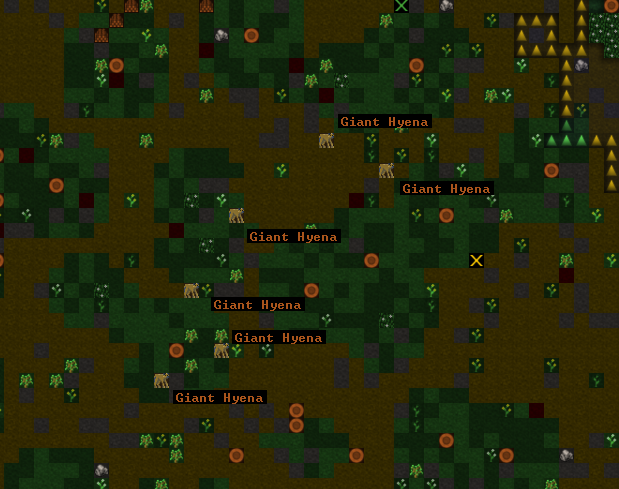 Giant Hyena pack! Everyone panic! Oooor... start chasing them around the map like a maddwarf. That works too I guess. Yes, we did let the giant slug rot. Why? Because it's a giant slug! 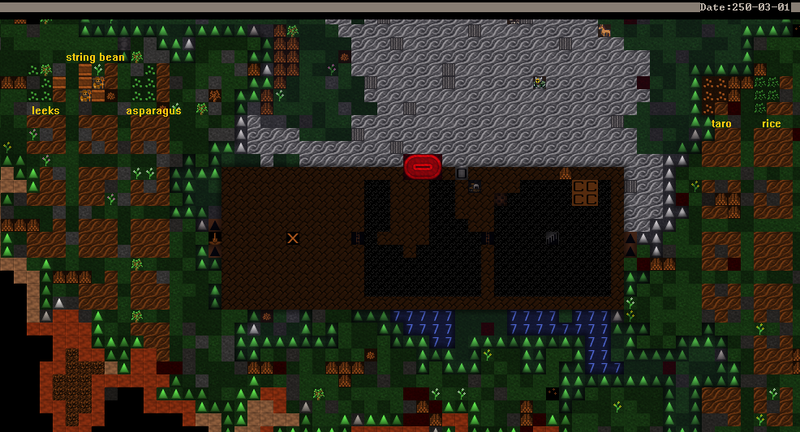 I am not preparing an armok damned giant slug for dwarven consumption! What is wrong with you? Why would you even think we would eat that?! OOC: Dammit, I was looking forward to those tasty tasty giant slug roasts. Aargh! Why isn't anyone harvesting the rice?! 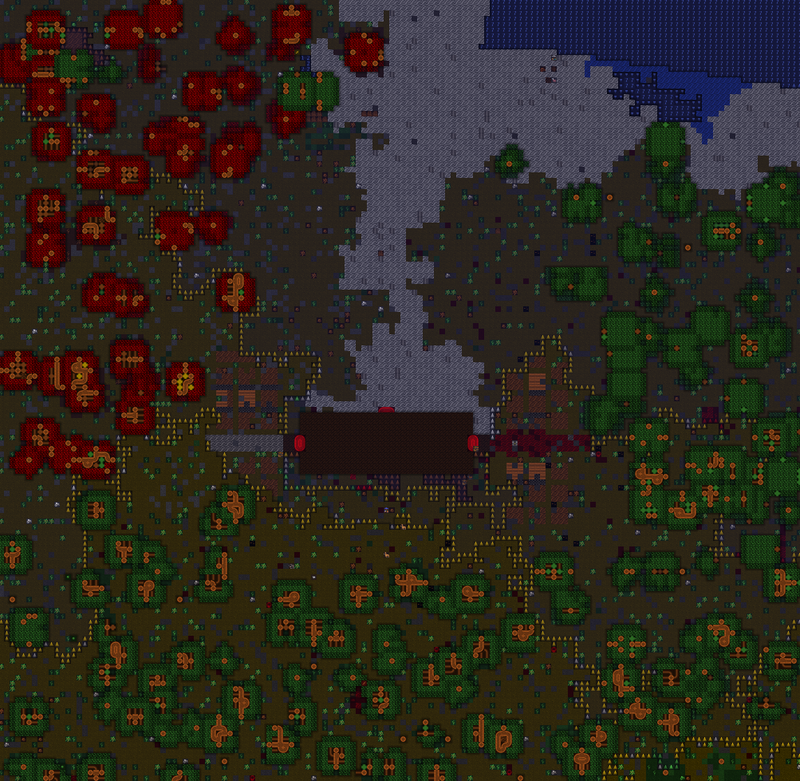 OOC: Okay, seriously, the crops are all withering and nobody will do anything about it. 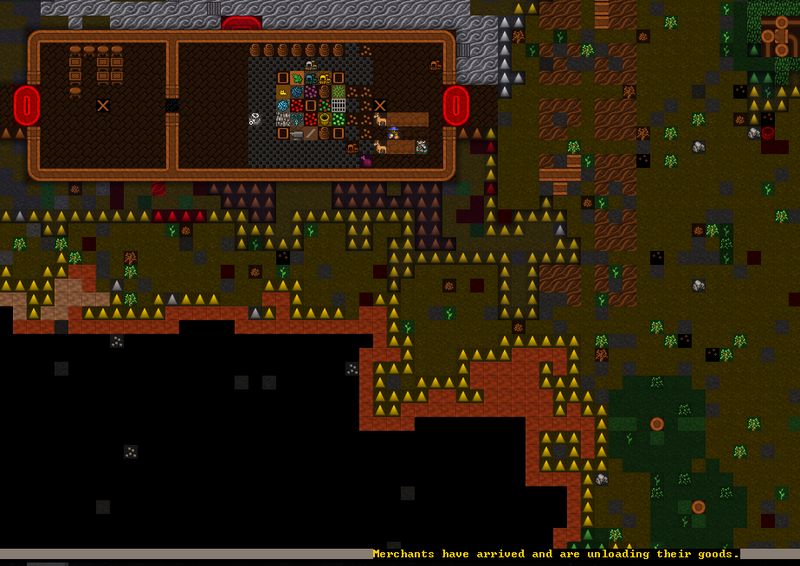 Dwarves all harvest, no burrows active and enough of them are on "No Job" that they can't be busy... what is going on? Worked it out. No stockpile generating the 'pick up plant' job means nobody harvests plants. 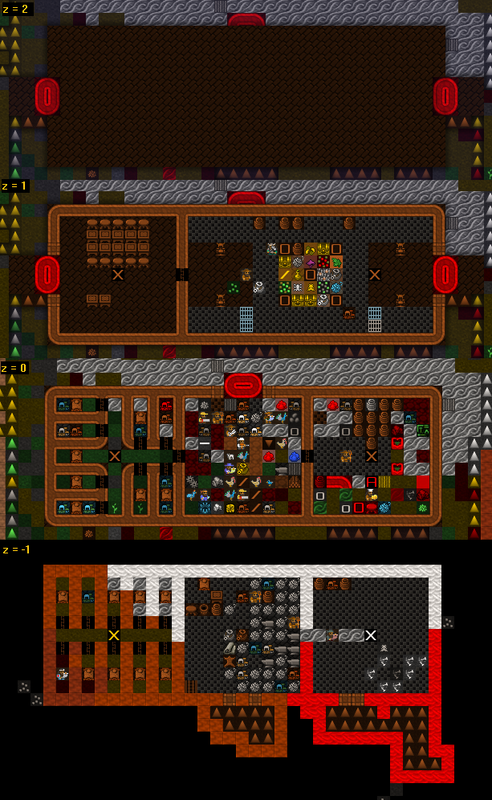 Sibrek, a female Grower and Fisherdwarf. Tall and muscular, agile and strong: it's a shame she has no skills with a weapon. Regardless, she seems useful. Doren, a male Papermaker with novice Threshing skill. I will take Lunardog off that task: he is better utilized as a grower. Doren's father Thikut, a cheese-maker and musician. In other words, a refuse hauler. Ninety... ninety-seven trolls... what. How? Are these papers trustworthy? They look legitimate. I am unsure whether to allow her to join Sanctume in the kitchen (which would allow Santume time to practice her herbalism), or just give her an axe and let her solo all of Breakfastpit's enemies. And now she's being introduced to us all by her husband as 'Hydrangea' Stoodevens. This woman is quite the enigma. Onul, novice Grower and Spinner, and Ducim, adequate Grower and competent Crossbowdwarf. Both male. Well, we can always use more construction workers. 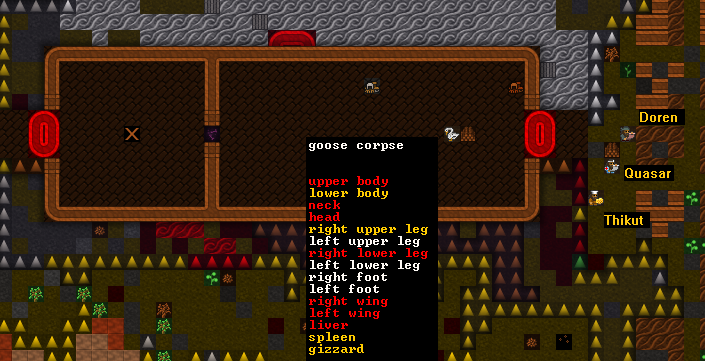 One of the new dwarves, Ducim, goes out and kills a goose. I won't object to the extra meat, but it was hardly worth the bronze bolts he spent on it. We'll bring it inside and butcher it, but no more unsupervised hunting. Rhinoceros herd! Zan (OOC: our founding swordsdwarf, still unclaimed) and Hydrangea set out to bring us back the fattest rhino in the herd. The rest of the herd watch in horror while the two dwarves murder their companion. 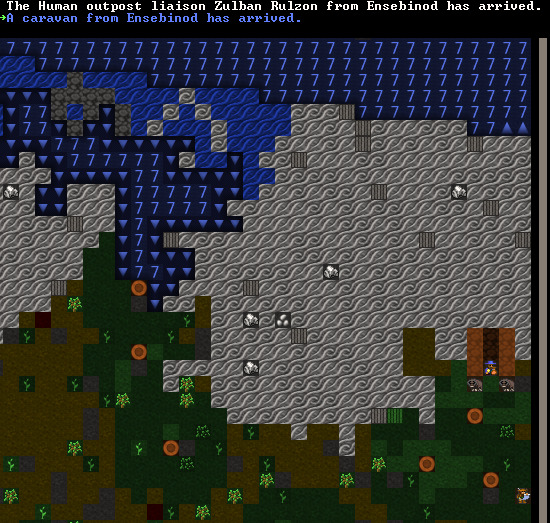 They are fools if they think one rhino will satisfy dwarven bloodlust, however. Zan and Hydrangea target the next rhi- aaaargh! "Dammit, Ducim is an idiot! He told us it was dead!" "It... it is dead! It has to be, look! There's no way anything could survive with those wounds." "By Nomal... actually, no. I'm not going to be scared of this. Undead or not, it's just a goose. Come on everyone! Charge! I still want to eat that bird!" In the cellar I have been digging beneath the longhouse, the border of the unclean white sand from the lake and the clean red sand of the surrounding hills is clearly visible. For now, we will ensure that the spoils of our hunting only ever rest on the red sand. Luckily, our butchers shop is positioned over the red sand already. Oh and reanimating ocean. Can't wait for zombie whale to come out of the waves. Construction on the second floor of the longhouse continues. We hope to complete two aboveground floors and the cellar before the season is out. Curious that the queen should place such an important task on the lanky shoulders of a human. Still, the royal seals were intact, and he knew the traditional greetings, so it would be unfair of me to comment. For all I know he may just be a hideously deformed dwarf. I ordered metal ores and bars, a seed re-supply just in case we lose any of our crops, and wood. One can never have too much wood. He shared the trade agreement, but it matters little to Breakfastpit: we are assured a supply of goods providing we fulfill our food production obligations. The only thing of note is the request for additional meat. Farewell Zulban. Yes yes, our fortunes rise and fall together. That was weird. I didn't know we had a human outpost liason. Anyway, let's get to offloading our food production quota now that the supply caravan is here! so did I surivive or did I die? You are alive. The giant hyena took one look at you coming at it at 30mph screaming through the froth around your mouth and flailing your arms about like a windsock puppet, and noped out of there. 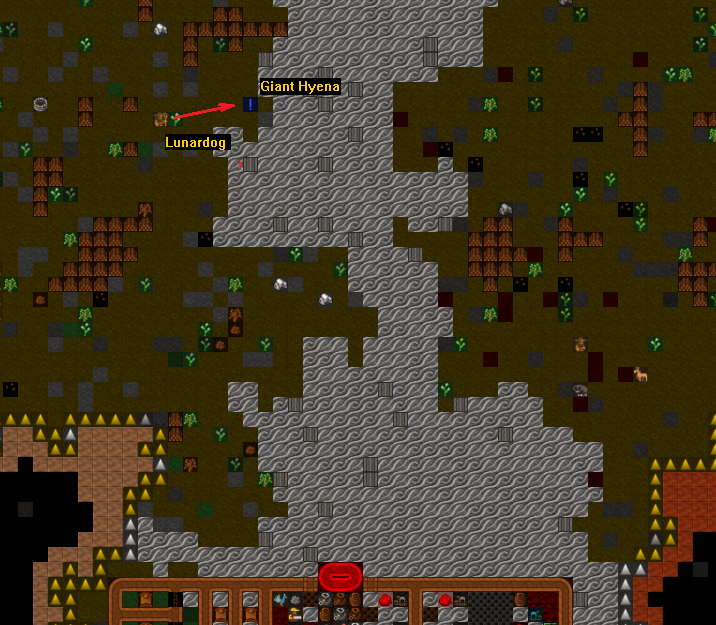 That screenshot is you chasing it full circle around the map: it's really hard to call back a dwarf once the bloodlust sets in. I had to wait for you to tucker yourself out. I'll sign you up for a turn: you'll be fine so long as you get everyone inside and close the doors as soon as the hordes arrive, and don't leave any elephant corpses on the white sand. I'd suggest you wait until Sanctume finishes his turn and then decide if you want to be skipped/placed further down the list. Succession games take time, your situation might be different by that time. OOC: Dammit. I knew I was forgetting to do something. No matter, we'll just have to count the trade quantities manually. I have decided to forgo trading unprepared ingredients. Our goal is to produce and export prepared food and drink. 1 unit food = 100.19 gold. Round down to 100. This will allow our overseers to approximate food and drink quantities! 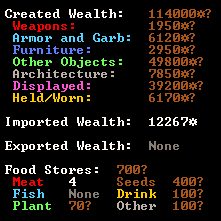 Just set all your food/drink to be traded and note down the value in the bottom left. We can now work out our production quota's! 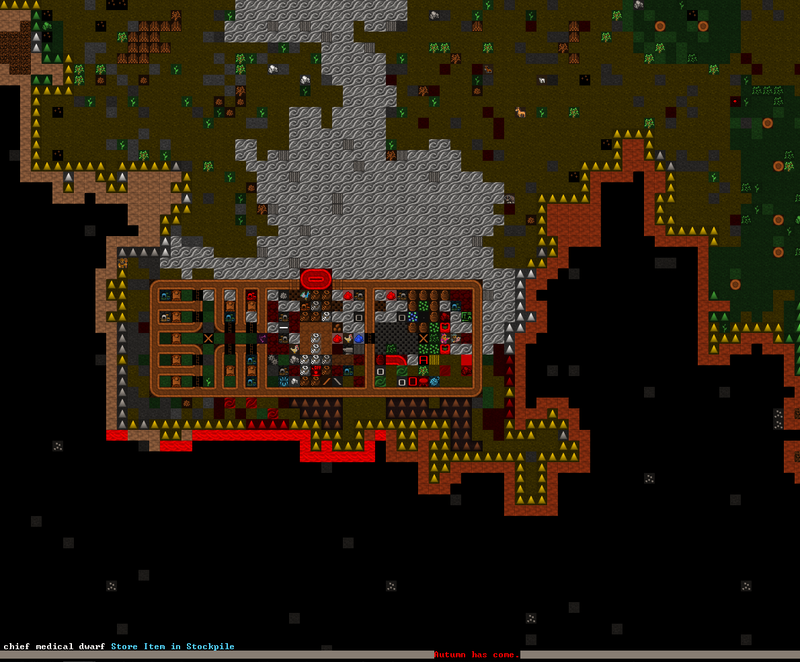 We have almost ~5000 dwarves of The Basic Gates to feed. 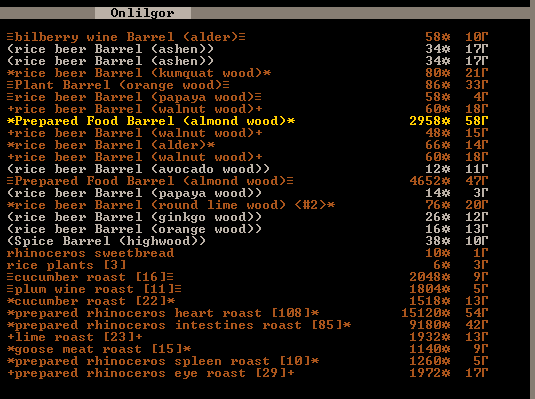 According to the wiki, your average dwarf consumes 4 drink, 2 food every season. That's 80,000 drink, 40,000 meals annually. ... in order to feed all the dwarves in our civilization. Hope you're all up for a challenge! From the supply caravan we ended up picking out some spare metal armour and weapons for Zan and Hydrangea, a few animals in cages (donkey, horse, cow and guineahen), some leather and cloth, and a few steel baubles to melt. Nothing special, but it will assist us in establishing ourselves here. Oh yeah, hyped and waiting. As autumn comes to a close and the leaves on the west of the longhouse begin to fall from the tree's, migrants arrive. Specifically, four useless dwarves and two useless dwarf larvae, 2 years and 1 year of age respectively. Greeeaat. At least the adults can haul, I guess. The long house is at long last complete, for now at least. It consists of two floors and a cellar, and has three entrances. 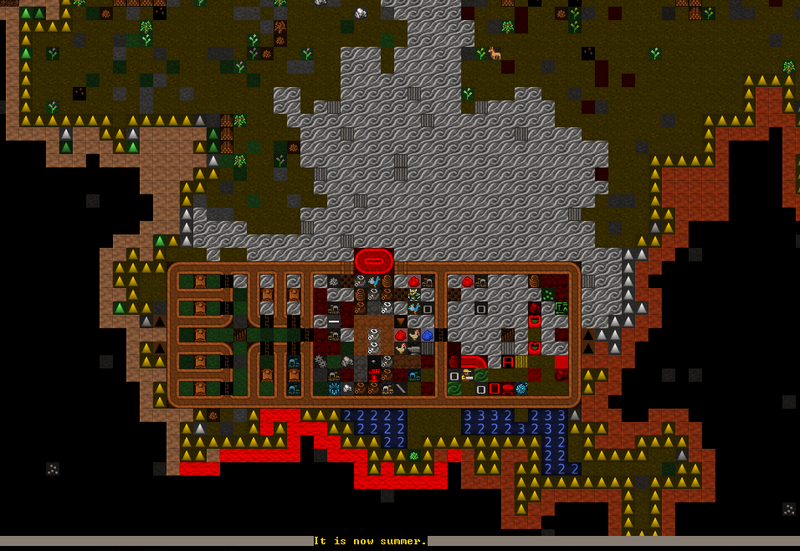 It can house 19 dwarves, which is quite a co-incidence, since that's how many dwarves we've got (for now). Most importantly, it is safe. The exterior logs have been specially treated to make them extra tough, and the three entrances are made from petrified wood and can be closed at a moments notice by pulling the lever on the ground floor. It *is* built over the white sand from the lake, but we have standing orders not to allow any animal corpses to rest on the white sand. For now, that is good enough. We will add hatches on all the stairs before handover, to ensure the place is compartmentalized and give us time to react in case of emergency. We have left many trees in the area to provide fruit and nuts in the spring. In the autumn, they simply look good.